Question 2: Do you trust your Managed Service Provider to have the necessary expertise and bandwidth to provide maintenance, deliver support services and assume Managed Service Provider responsibilities? This is the 2nd question in our 7 Question blog series on choosing the right Managed Service Provider. The first question in the series helped you find a few Managed Service Providers that you felt could support you now and for the future. We looked at how accreditations and certifications from big named vendors showed a good level of capabilities and a commitment to deliver good quality solutions. But, there is always that niggle in the back of the mind isn’t there? It is always hard to hand over control to someone else, but I would suggest impossible to hand it over to someone you can’t trust. It’s a bit like putting your faith in England to win the World Cup, you want them to do it, but you wouldn’t go and place a bet would you? Your BYOD policy isn’t going to win any competitions, but it should work, seamlessly. If it doesn’t, you will know about it pretty quickly! The good thing about technology is when implemented well and managed and supported properly you can relax. No more nervous nights watching penalty shoot outs – it wins every time. So how do you know that your decision in Managed Service Provider is the right one and that if you need them to take a penalty they won’t miss? Well, here are 5 useful pointers to help uncover the answers that you need. May seem like a no brainer, and I guess it is, but always good to get the seal of approval from an existing customer. Ask to speak to one, or a few, of various sizes and find out whether they are delivering what they promise. Any Managed Service Provider that prevents you from speaking to existing customers should naturally raise a red card. I know that this is a tricky one to measure, but ask them about it. Do they develop their staff? Are they a growing company? What is your overall impression when interacting with them? Like I said, not an easy one to gauge but you can usually get a feel for a company. If you have any doubts or questions then don’t hesitate to ask, a good Managed Service Provider should be more than willing to answer. Ask to see their support centre and customer services. As a Managed Service Provider, their support centres should really show a commitment to helping their customers and the statistics should show this too. If they are going to be looking after your networks and communications, you are going to want to know what their response times are like, their remote fix rates and first call resolution stats among other things. 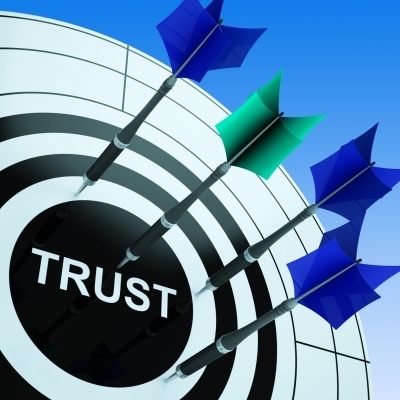 This is the biggest trust winning factor for us as a business. What are they using to monitor networks? Are they simply flagging issues when they arise or checking for potential hazards? Are they pro-active or reactive towards network problems? How deep into the networks are they monitoring – can they dive right down to endpoints? Having complete visibility across the network and being able to notify potential hazards, fixing them ahead of time where possible is a great strength and should help you relax. I know I talked about this in the last post, but it is worth mentioning here. As well as being certified and accredited from big names vendors, what are their internal teams like? Are their engineers up to date with the latest technologies? Do they run seminars and events? Do they have an active blog where they share best practices and thought leadership? Finding a Managed Service Provider you can trust is important, and hopefully these questions will help you uncover the answers that you need to make an informed decision. Next week we will take a look at whether they can become trusted advisors who stay engaged with you and your business or just provide a basic support contract.